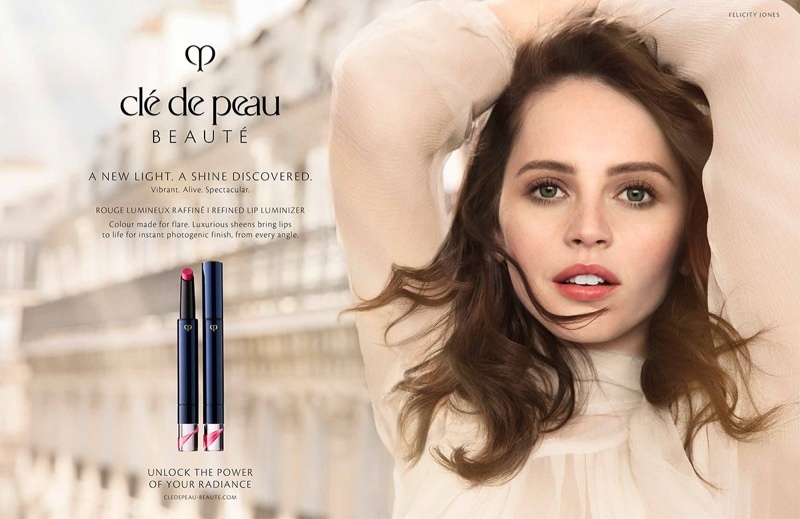 Continuing to star as the face of luxury cosmetics label Clé de Peau, actress Felicity Jones returns for the Spring/Summer 2019 Campaign. Posing for the lens of the noted photographer duo Inez & Vinoodh, the actress shows off the latest from the label including foundation, lip colour, face cream, eye mask and eye cream. Flawless and beautiful, the British star is a sight to behold, styled for the shoot by Alex White. Starring in a short video advert as well along with the print campaign, the brunette has her hair done by Odile Gilbert with makeup by Lucia Pieroni for the shoot. Clé de Peau's A New Light Campaign focuses on radiant skincare and makeup products for the season, bringing a glowing complexion back into trend.